Relying on our rich industry experience, we are a client centric organization. 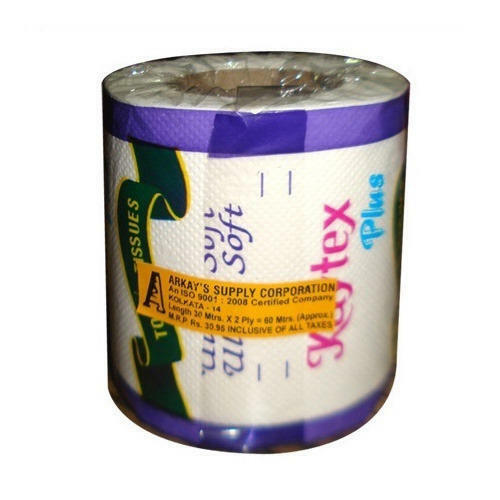 We are offering a huge array of Soft Toilet Paper Rolls to our customers. Our rolls are used in hospitals, hotels, restaurants, offices, and malls. We offer our Soft Toilet Paper Rolls at market leading rates to our customers. Arkay’s Supply Corporation was founded in the year 1974 as a Sole Proprietorship venture with its official premises located at Kolkata, West Bengal (India). We are an ISO 9001:2008 certified company and we are known in the industry as one of the leading market players engaged in offering a huge assortment tissues and rolls for various purposes. We specialized in the terrain of manufacture and supply of Toilet Paper Roll, Party Paper Napkin, Paper Hand Towel, Soap Dispenser, Hand Towel Dispenser and many more. We have served to a large number of our customers all across the nation from various sects like corporate, hotels, clubs, caterers, nursing homes, hospitals and others. Our trading brand is Kaytex. We make export of our product through with the help of different parties that help us channelize our roots globally. Being soft textured our tissues and rolls are available in different sizes and colors. Our dispensers are available in different elegant models. They are manufactured from best quality raw materials. Owing to their impressive quality, and low prices, they are extensively demanded amongst our customers.